Lock in a great price for Barossa Weintal Hotel Complex – rated 8 by recent guests! Great location ! Plus loved the complimentary coffee on checkout !!! There are multiple wineries within walking distance, so you can do tastings without needing a designated driver. The hotel bar is a great place to end your day. Good location and friendly staff. Room a little dated. Location was perfect for exploring the beautiful Barossa wineries. Room was comfortable and clean, just a little out of date. The staff were very friendly and helpful when talking about places around. Great for our stop over. Restaurant meals were delicious. 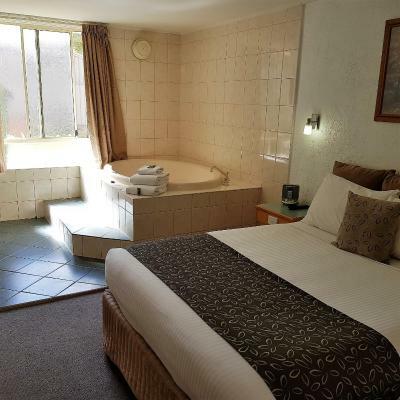 Barossa Weintal Hotel Complex This rating is a reflection of how the property compares to the industry standard when it comes to price, facilities and services available. It's based on a self-evaluation by the property. Use this rating to help choose your stay! Barossa Weintal Hotel Complex is located in the heart of Australia’s wine country, within walking distance of several wineries and just 1 hour's drive north of Adelaide. Guests have access to an on-site restaurant, swimming pool, free WiFi, free parking, and guest laundry. Barossa Cucina is the refurbished on-site restaurant that serves modern, Italian cuisine and local wines. Breakfast is available from 07:00 to 10:00 daily. When would you like to stay at Barossa Weintal Hotel Complex? This air-conditioned room features a 32-inch LCD TV and tea and coffee making facilities. An a la carte breakfast menu is available at AU $15 per person. This studio features air conditioning, spa bath and iPod dock. An a la carte breakfast menu is available at AU $15 per person. This double room has a mini-bar, electric kettle and air conditioning. 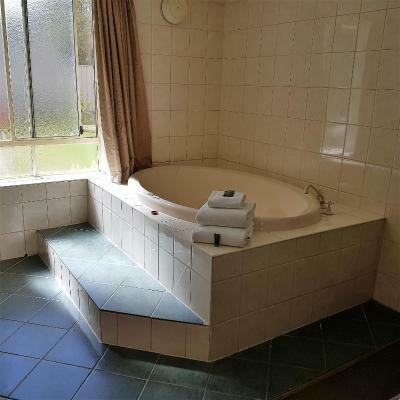 If offers a 2-person spa bath located in the bedroom. An a la carte breakfast menu is available at AU $15 per person. House Rules Barossa Weintal Hotel Complex takes special requests – add in the next step! Barossa Weintal Hotel Complex accepts these cards and reserves the right to temporarily hold an amount prior to arrival. Please note that there is a 1.3% surcharge when paying with Visa, MasterCard, Diners Club or American Express credit card. When booking the hotel it clearly stated breakfast included. To our surprise when we showed up for breakfast we were told only certain items of the breakfast menu are included and you have to pay for coffee extra. The dinner menu is rather overpriced and the food is average. The rooms are quite noisy, you can hear the neighbors, especially when they using the bathroom (shower, flushing toilet). Not really value for money. Staff is friendly and organised a wine tour for us prior to our arrival. For $300/a night (after discount), we're shown a motel room with no light, not very clean, the shower was literally broken (had to hold it during my shower 😣) and to finish, the hair dryer was not working at all... This is just stealing people for this price ! The only good point is the new italian restaurant, even if the menu is quite short for now. The restaurant which has been renewed recently. The food was good but the room service menu is too limited. Internet didn't promote restaurant enough. We booked elsewhere but would've tried it had we known. The restaurant manager did not make us feel welcome. The 2 for 1 pizza pasta Tuesday night was not advertised to us. We only found out about it from another guest. All other staff were excellent. Convenient location. Easy parking. Friendly staff. Good size room. Couldn't remember if the suit was meant to have complementary wine or not. It was suggested due to early morning departure for ballon trip to leave the key in the room and take bags as return was not always possible depending on the trip.. That's all fine if the ballon trip isn't cancelled. At 6:00am ballon people let us go and we couldn't get back in as reception closed until 6:30. Would suggest improving the experience between yourselves and ballon place to develop a real package and support each other. Restaurant was good, Great meal and appreciated the service from one particular young lad. Settings were pleasant and the suite comfortable. Bathroom needs an update. Linen in bed needs refreshing.